Question: The “integration report” was released in Frankfurt this week. Could you envisage such a report in Oberursel? Would you actively support the introduction of such a report after the election? It is worth noting at this point that the concept of the integration report was presented to the Ausländerbeirat several weeks ago. The question is, what findings do you have in such a report? The the report highlights things that separate more than things that connect, when we don’t need it. Tappenden: It is a question of how to present it in a positive way. Schorr: But looking at it the other way, if we were to find that Oberursel had 18% foreigners overall but of the town’s administration only 2% were foreigners, that would not be of any use to me at the moment, because the town has had a freeze on hiring. That means, that we cannot hire anyone from outside. We would not be able to improve that percentage in the short term. So what use are such statistics? 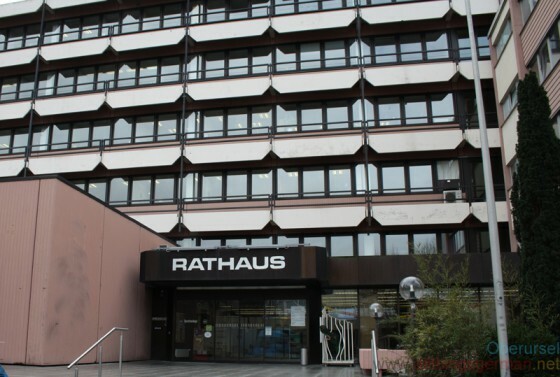 Tappenden: In Frankfurt there was another example concering the sports clubs, that the older clubs with a leasehold on the grounds had a lower percentage of foreigners, and that clubs with a higher percentage often had to hire grounds. Schorr: Our sports clubs have other structures to those in Frankfurt. In Frankfurt there is even football clubs that are made up entirely of people from one ethnic group. Before I spend a lot of much on such a report, just to have statistical values, I would rather use the money to carry out targeted measures. Tappenden: Another example from the Ausländerbeirat recently was the “Kindertagesstättenentwicklungsplan” (the plan of child day care centres containing statistics about the available places, birth rates, etc.) One could ask why there is no field to show those with a migration background. It could be, that the field is there, but this was not discussed further. Schorr: But that’s the best integration. Just imagine, at the moment the plan just says there are 400 children per year. It is completely irrelevant whether they are German, Turkish, Italian or Polish children. Why should I show that there are 280 German children, 20 Polish, 30 Italien etc. That is when you show a separation. Tappenden: But if it came out that there was one Kindergarten that was particularly popular with one group of the population, then one could ask why. Schorr: I want to use an example to show this. During my vocational training I was at the Günthersburgschule for a year. There, there is a primary school in which children from a German background are in the minority. There are classes with 30 children, and only 2 German children in them. The rest are all children with a migratory background. This has the consequence, that German children no longer want to go to this school. Now if there was a set of statistics, which said that a child day car centre in the north of Oberursel had 30% foreign children in it, the town centre 10% and Weißkirchen 20%, then some readers may say that Integration has worked wonderfully, but there may also be people who then say “I only want my child to go to the town centre, because there are only 10% are foreigners there”. I find it is right not to differ between German and foreign children, but to say we have 400 children in Oberursel per year. I can envisage such a report retrospectively, but in particular to help planning, when one simply describes the development of the previous years, where the focus was and an outlook of where it will be in the near future. We do that in different areas and I can conceive that in the area of integration and foreign residents well. I would not make it too statistical, because in a small town like ours sometimes coincidences play a role. We have a form of “small monitoring”, so that one can see in which residential areas which nationalities live, that is used by the regional assembly. But it appears to me to be important that targeted activities are carried out, and should set objectives accordingly. One of the tasks of such a report could be these to highlight these in advance, what the current state of things is, and to show where we want to go, what to change and what to keep.